Every company that produces a product needs to ship it to their customers. In many instances this is a manual process that requires operators to personally handle an order and generate shipping paperwork. In today’s manufacturing processes it is simply too expensive and time consuming to employ enough operators to meet a company’s shipping demands. Our most common applicator type is the "Straight Tamp" and is available for top apply and side apply labeling. This applicator is available in both pneumatic and "all-electric" version of our our P8 model. This applicator type is best suited for carton labeling applications but can also be used for other product types that have a flat surface. Our customer is looking to ship thousands of packages per day. They are looking for speed, accuracy and efficiency. 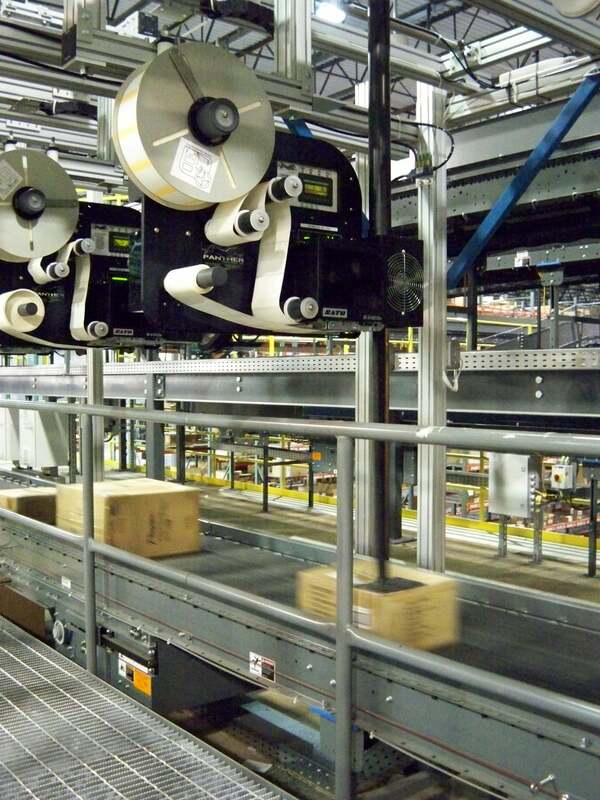 They may even have multiple production lines and multiple operators who are processing their out bound shipping. When their production levels increase they man not have processes in place to support the volumes they are looking for. What they are looking for is automation. By adding Panther Labeling Equipment instead of operators they can increase their through-put, decrease the number of errors and minimize costs. We offer a wide selection of equipment in order to fit these needs. By utilizing our P8-100 Series we are able to meet the needs of the customer. Panther offers reliable and easy to use automated equipment that can easily keep up with any volume increases, while lowering unplanned downtime and operating costs.